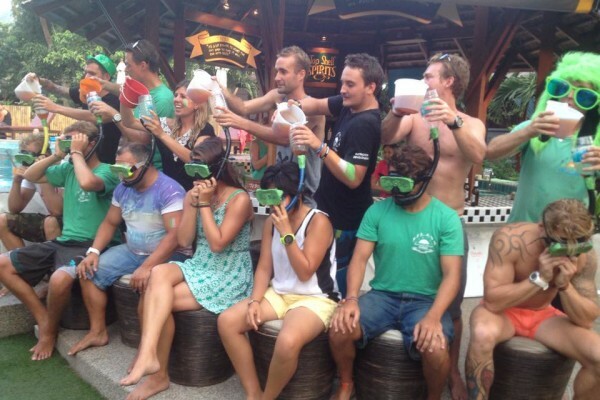 St. Patrick’s Day Divemaster graduation! 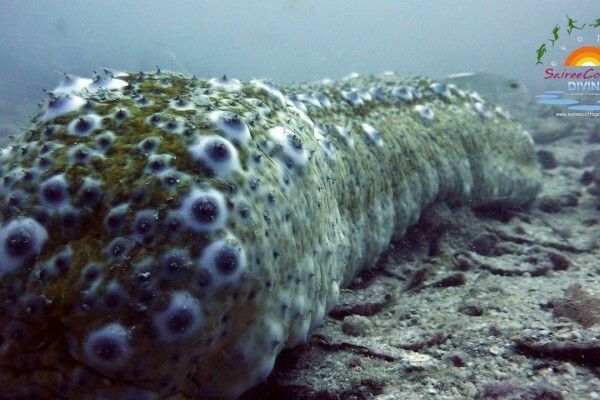 Hi everyone and welcome back to my blog. 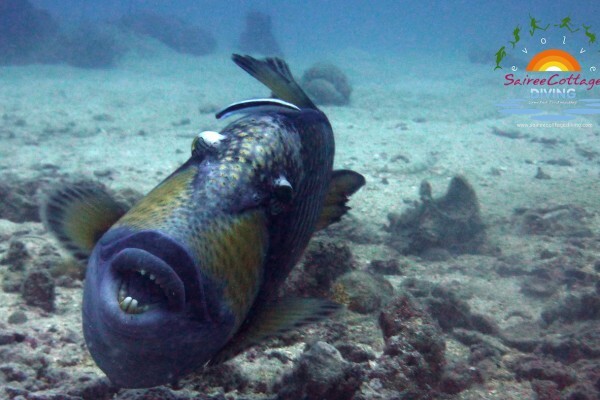 This week I have chosen this picture of a titan trigger fish. They have been particularly territorial the last few weeks as they have been in the breeding season and have been building there nest cones. 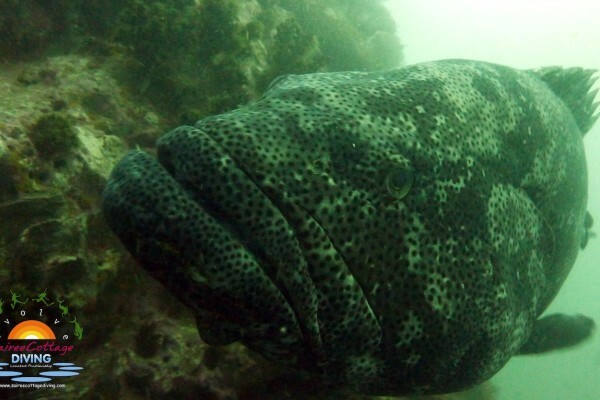 Most divers will keep there distance from these guys all year round but more so now. 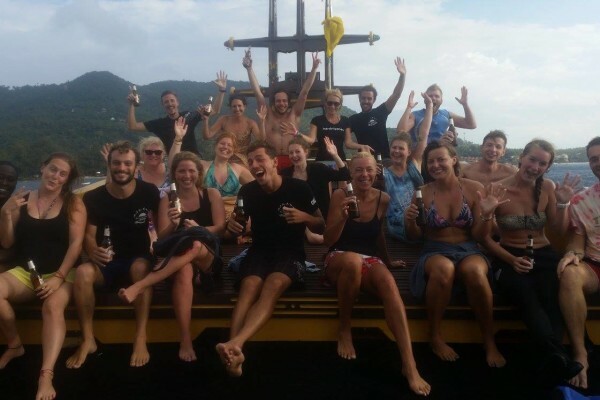 Last Friday we were fortunate to have some free time, and at Sairee Cottage Diving Koh Tao this means clean up dive time! 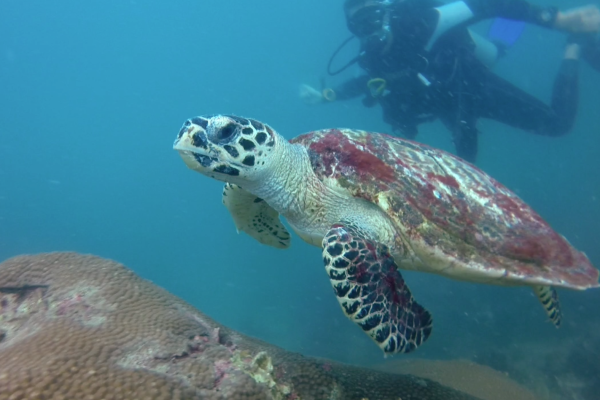 During our regular fun dives, we sometimes come across a polluted area so when we have an opportunity to go clean it up, we take it. 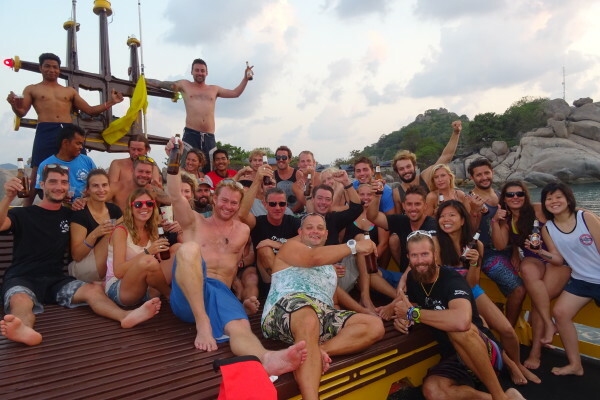 Welcoming 2015 at Sairee Cottage Diving! 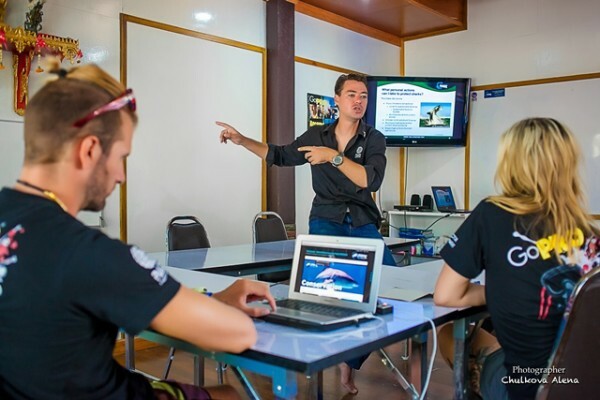 [singlepic id=407 w=300 h=200 float=left]In the past few months we’ve had a great time with many fantastic PADI Divemaster Trainees here at Sairee Cottage Diving Koh Tao! A big congratulation goes out to Max, Rick, Larissa, and Travis who all graduated this summer. 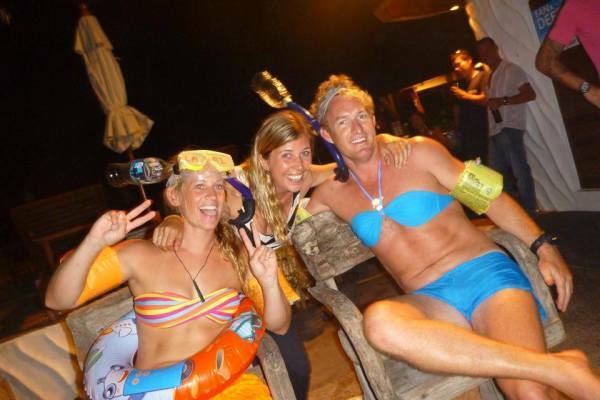 Lots of dives, lots of laughs, and lots of priceless snorkel test nights all the way around.